Today there are two dangerous extremes that people exhibit when it comes to looking at the topic of “work.” One extreme is to view work as something evil and, thus, something to avoid as much as possible. This view of work can be seen in how people dread Monday mornings, get some relief when “hump day” (Wednesday) comes and celebrate Friday’s with a shout of TGIF. When work if viewed as something that is a burden, the goal of work becomes making enough money to retire comfortably as soon as possible. Either of these extreme views of work goes against the fact that God created man after His own image and, therefore, He created man to work. Work has dignity because it is a reflection of who God is. Throughout Scripture we see the fact that God is constantly “working.” In Genesis, He performed six days of the “work” of creation. Jesus also was known for His “works” while He lived on earth. In order to fully understand what it means to be human, every person must realize that God created man to work. This is seen in Scripture by what is referred to as the cultural mandate in Genesis 1:28. Here we find God telling Adam and Eve to …be fruitful, and multiply, and replenish the earth, and subdue it… This is actually God’s job description to man. Nancy Pearcey explains it this way in her book, Total Truth. The first phrase “be fruitful and multiply,” means to develop the social world: build families, churches, schools, cities, governments, laws. The second phrase, “subdue the earth,” means to harness the natural world: plant crops, build bridges, design computers, and compose music. This passage is sometimes called the Cultural Mandate because it tells us that our original purpose was to create cultures, build civilizations—nothing less. From his very beginning man was created to work. One of the primary goals of education must be the effort to guide a child to understand the gifts and talents that God has created in him/her and to develop those talents and gifts. When this is accomplished, the child can then become sensitive to God’s call on his/her life. By answering God’s call on their lives our children can then perform work in order to fulfill God’s will for them. The problem Christians face today is that we have lost the idea of vocation when it comes to work. This loss has evolved over many years. The progression that took place in how work is viewed goes something like this. Work is God’s Call became Work is a job to be blessed by God which then became Work is a job to get ahead and is now seen as Work gives one the ability to consume. We must recover the idea that work is a “vocation” or calling, “contribution to the good of all and not merely…a means to one’s own advancement.”…To one’ self-fulfillment and power…Something can be a vocation or calling only if some other party calls you to do it, and you do it for their sake rather than your own. 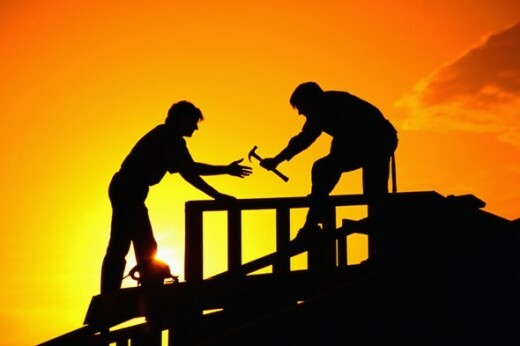 Our daily work can be a calling only if it is reconciled as God’s assignment to serve others. Everybody is gifted and has a purpose in God’s world…Each child has a specific calling, framed by his unique talents and abilities…The challenge of the first eighteen years of a child’s education is to find that calling…A fulfilled life will be determined by whether he/she has centered in upon his or her life calling…A successful education is achieved when a child is prepared to make maximal use of his God-given talents and abilities in the accomplishment of the child’s calling. By filling and ruling over the world, we fulfill our true purpose in life. We reach the heights of dignity because we represent and extend the authority of the King of the universe. The main end our lives…is to serve God in the serving of men in the works or our callings. There a couple of questions we need to answer. How do you view work? Is it a burden or a blessing? How can your work be done in order to fulfill the cultural mandate? How are you modeling and teaching the next generation that man was created to work? While I now understand this biblical view of work and vocation, I wonder what difference it would have made to me when I was younger and still developing my skills if I had known then what I know now? To me this puts an exclamation point on the importance of biblical worldview shaping in the Christian schools and home schools. While we are doing a much better job of that than a generation ago, I still see a void that needs to be filled and likely the time is short, so we can’t afford to rest on out loreals. We need to get to WORK! Thanks Glen, I love your prods to remember the important issues of life in Christ. I agree with those authors that we were designed to work and serve others for there betterment. I love my vocation and consider it a ministry. I believe that as we work as unto the Lord that he blesses the fruit of our labor.